Is It Time For a New Roof? Nathan Phillips Square in downtown Toronto received a $208,000 open design steel roof over the public theater. Among the design challenges were cost, meeting the heritage design of the theater, working with steel and keeping the project local. Before deciding on the less expensive pre-engineered design, the initial steel castings space frame design cost $405,100. Structural engineers Blackwell Bowick reviewed several designs and retained Toronto based sub consultant Cast Connex Corp to collaborate on the new roof. The design was a joint venture by Plant Architect Inc. and Perkins Will. Once they settled on a suitable theater covering that took into account all the design elements, they needed the planning officials Heritage to approve the design. Additional roof problems were figuring out how to erect the roof onto the busy public square that sits on top of a parking garage roof. Large cranes to hoist the steel roof into place were tactically placed off the square. The project manager for the steel roof was PCL Constructors Canada Inc. Flynn Canada is doing the roof glazing. Ottawa based Triodetic Canada prefabricated the space frame, Quebec based Beauce Atlas supplied the column supports and box beams that form some of the major architectural features of the roof. 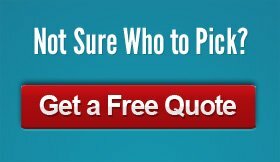 Get a free quote from a roof contractor in your neighborhood in seconds! We never share your information and only seek to put you in touch with the best local roofer in your area.